Your Halo headshot montage won't be making you any more money, thanks to a revised Microsoft policy. Halo 4 fans chomping at the bit to post new gameplay clips on their YouTube pages take note: Microsoft wants to make sure you're not making any money off of your creations. A new version of the company's game content usage rules explicitly prohibits anyone from making money through the creation and distribution of video clips or other materials, so long as the game in question was published by Microsoft Studios. 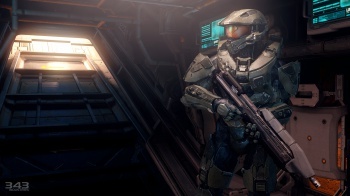 Publishing wild gameplay happenings and montage clips of titles like those in the Halo series has become a big deal on YouTube and other video portals. Once an individual's videos become popular enough they can gain partnerships with YouTube and receive a cut of the advertising revenue generated by their videos. This rule will put a swift end to that. In fact, the new language of the agreement even calls out the YouTube Partner program by name. One particularly interesting point of the newly-revised rules states that advertisements can appear alongside or on the same page as a gameplay clip, but the person who created, edited, and published the work may not profit from it. The MLG circuit -Â which owes a large part of its success to games like Halo 3 - will not be impacted due to the organization's usage rights agreements with Microsoft itself. Of course, your average YouTube partner who makes a few bucks here and there off of montage clips doesn't have the benefit of such immunity. Not surprisingly, the news isn't sitting well with those who will be affected, especially with the launch of Halo 4 less than a month away. An online petition has already been set up to protest the change, and at the time of this writing it has over 950 signatures.